When Monster & Chips first came out, my publisher ran a competition inviting people to send in their ideas for monstrous food. I still get the occasional email about it, although the competition finished a long time ago. It doesn’t matter, as I love to hear from readers and to see what they come up with. 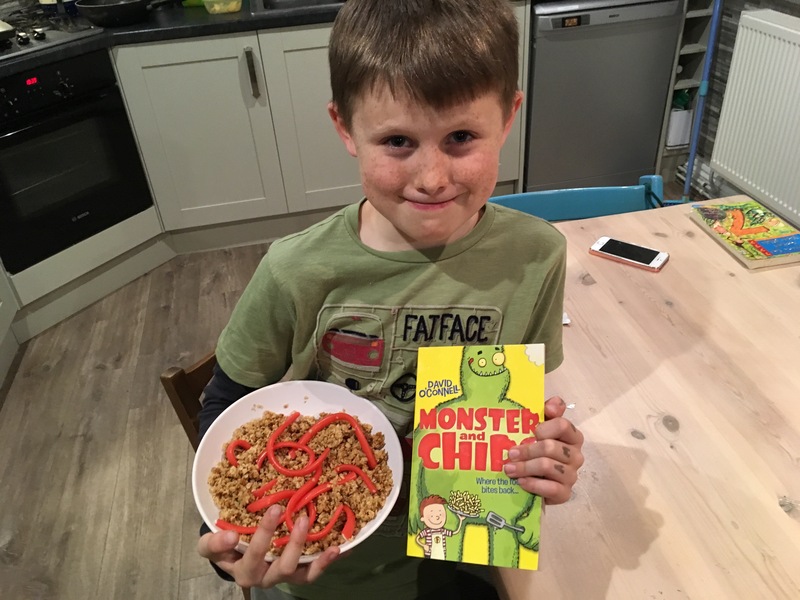 Here’s Amos (aged 9), who read the whole of Monster & Chips in two days, with a bowl of granola and worms! Yum – I hope he (or a monstrous friend) enjoyed it.